This Houston hotel is conveniently located close to world-class restaurants, entertainment venues and popular attractions. 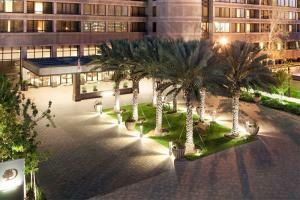 The hotel is just steps away from the Galleria Mall featuring over 400 shopping and dining outlets. Enjoy opera, ballet and theater in the Houston Theater District or take a trip downtown and visit the George R. Brown Convention Center and the Museum District. After a day of exploring, unwind at the outdoor pool or go for a workout at the fitness center. Oversized deluxe guest rooms and suites feature flat screen TV, WiFi and some feature balconies. Located about 23 miles from Houston Intercontinental Airport.